Allowing the Trans Mountain pipeline to go forward now would sabotage meagre gains made by fed’s carbon scheme. And he has repeatedly been called out for refusing to produce science-based evidence to support his unsubstantiated claim. Thanks to the contribution of Britain’s ecological economist Tim Jackson, in his 2017 book “Prosperity without Growth”, evidence does exist to refute Trudeau’s misguided assertion. Economists have a term for what the PM is alleging can been done – it’s called “absolute decoupling”. In everyday terms, “decouple” means to separate, disengage, or dissociate (something) from (something) else. In essence, Trudeau is stating that its possible to decouple the impact of more economic growth from material resource use and the accompanying rise in carbon emission levels. Absolute decoupling refers to the case where material resource consumption and carbon emissions decline in absolute terms, even as economic output continues to rise. In his book’s Chapter 5, titled “The Myth of Decoupling”, Jackson affirms that absolute decoupling has never been empirically validated. He found no historical evidence of absolute decoupling between 1990-2008. On the contrary, studies show economic growth is very strongly coupled with material resource consumption and rising carbon emissions. Below is my repost of David’s piece. To read it on rabble.ca’s website, click on the following linked title. Furthermore, his climate plan was a pretty rotten compromise to begin with. The federal carbon pricing requirement is set to rise to $50 per tonne by 2022, but then it stops. This is not nearly enough to get us to the 30 per cent reduction in greenhouse gas emissions that Canada pledged to achieve by 2030 at the Paris climate conference. To meet that commitment would require an eventual price of $200 per tonne (if pursued through carbon pricing alone.) Or, at the very least, a federal government with the political backbone to say no to environmentally destructive fossil fuel projects. David Taub Bancroft lives in Vancouver and though he writes mainly about all things political, he is working on his first novel. 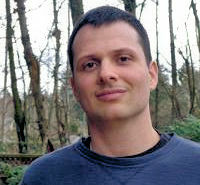 David studied political science and philosophy at Simon Fraser University. He blogs on politics and literature at Song of the Watermelon. This entry was posted on February 23, 2018 by fjwhite in climate change, information counterpower, political action and tagged absolute decoupling, decoupling emissions from economic growth, John Horgan, Kinder Morgan pipeline, PM Justin Trudeau.